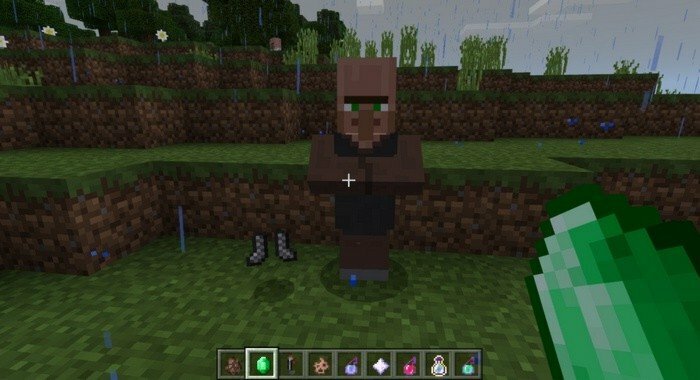 There is no native option to trade in Minecraft PE, but you can trade with villagers using this mod. 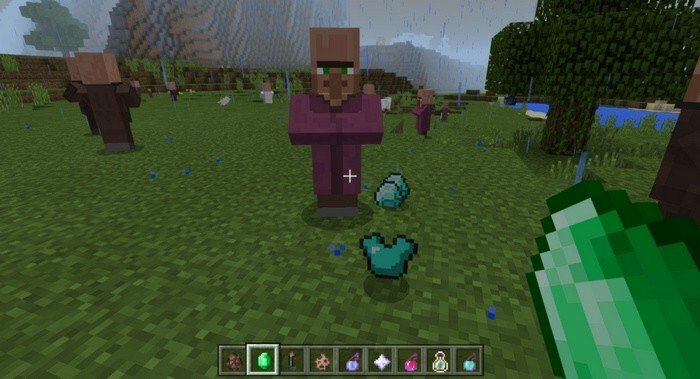 You will need to do only two things: find a village with villagers and give them some Emeralds - in return you will get some random items. Different villagers, will give you different loot - that's depends on kind of villager and random. I know that this trade mod for Minecraft 1.0.0 is not ideal, but it's simplest way to exchange your items.